Relax and unwind in the Duck Inn’s spacious and comfortable accommodation options for families, couples and groups. The Duck Inn is a non-smoking property where customer service is the number one focus. All hotel rooms include a queen size bed and ensuite, with all linen and breakfast provided. Located within the Mount Buller village, the Duck Inn is within walking distance to most of the nightlife venues, restaurants and free four wheel drive shuttle service at the door to transport you to ski school. 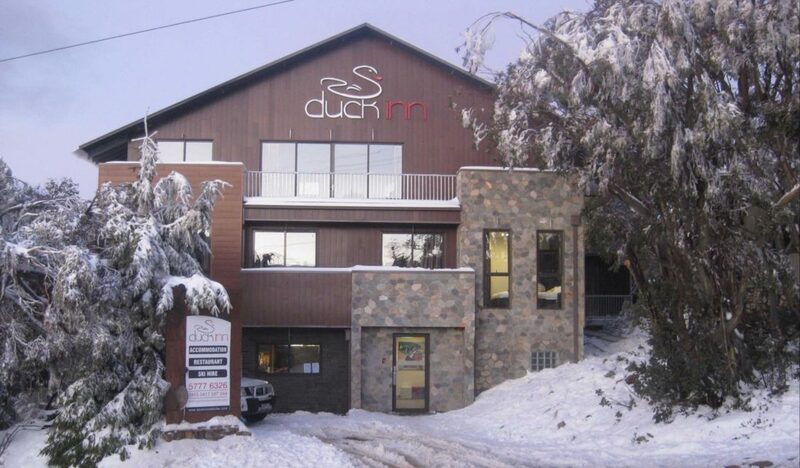 Duck Inn Mount Buller have an on-site restaurant, lounge bar, their own ski, snowboard and clothing hire shop that is open late, so you can be fitted in the comfort of your hotel.